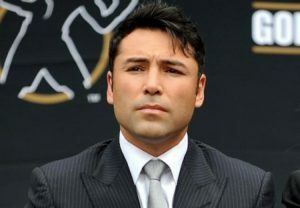 Twisted muppet and WBC President for Life, Jose Sulaiman, is outraged that news of Julio Cesar Chavez Jr.’s positive test result for Marijuana was made public before he got his hands on the report. Of course, this is the same man who allows Chavez Jr.employee, Dr. Antonio Salazar, to be Chavez’s certifying physician despite his role as the doctor who “accidentally” gave the fighter the banned substance, Furosemide, in 2009. 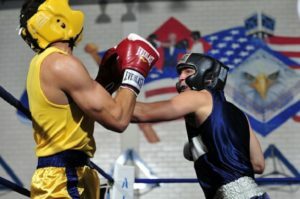 For that “accidental” case of doping, Chavez Jr. got a seven month suspension, a $10,000 fine, and a #1 ranking by the WBC. 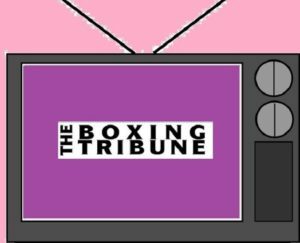 Needless to say, Sulaiman’s heart is tied to his wallet and, in Chavez Jr., he has the perfect money-making machine– a money-drawing dupe who needs the WBC’s interference and will gladly pay the 3% sanctioning fee for the privilege of a professional enabler. 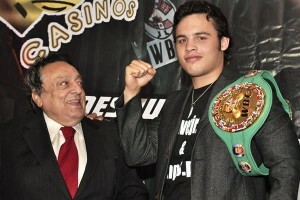 Chavez Jr. faces up to a year’s suspension by the Nevada State Athletic Commission and/or a fine that could range anywhere from $10,000 to his full $3 million purse.